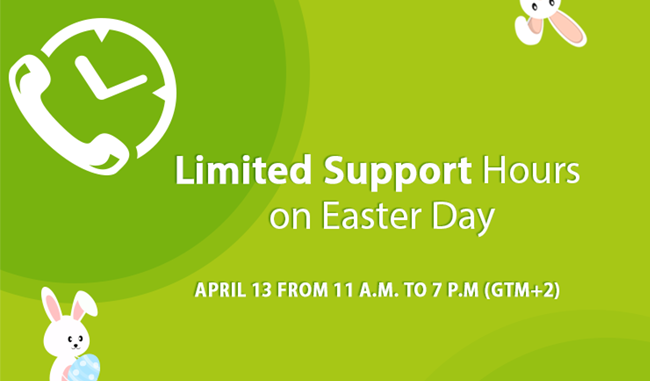 On the happy occasion of Easter celebration, Cart2Cart will provide limited support hours on April 13th. During this date you’ll be able to contact us via chat or ticket from 11 a.m. to 7 p.m. (GMT +2). We’d like to thank our clients for understanding and promise to process all requests right after the holiday date.